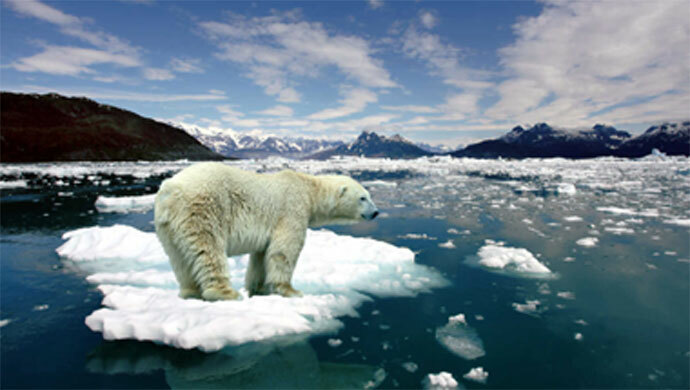 The polar regions are the first to experience the impact of human interference with the environment. On a given day, Daniel Price would have cycled an average of a hundred kilometres. On his Surly Long Haul Trucker, his bicycle of choice, Daniel or Dan, as he is popularly known, would either be crossing the Alps or cycling across the Gobi desert. His journey took him to the islands of Samoa in the southern Pacific, and also through the maddening traffic in metropolitan Jakarta, Indonesia. Beginning his arduous expedition from the southern Polar region, Dan hopes to conclude his campaign at Paris in December, just in time for the Conference of Parties (COP21) to the United Nations Framework Convention on Climate Change (UNFCCC) which hopes to seal the deal on climate change. His voyage, which is called “Pole-to-Paris”, could have been dismissed as a professional adventure by someone who loves to push the boundaries of endurance. But the real story is that Dan is a scientist who specialises in research on Antarctic climate. Dan is not alone. If he is cycling from the South Pole through excruciating environments; on the other side of the Pole, yet another scientist had taken up an equally grueling and challenging task. Here, a specialist on Arctic climate, Erlend Moster Knudsen, is matching Dan by running all the way from the North Polar Region to Paris. 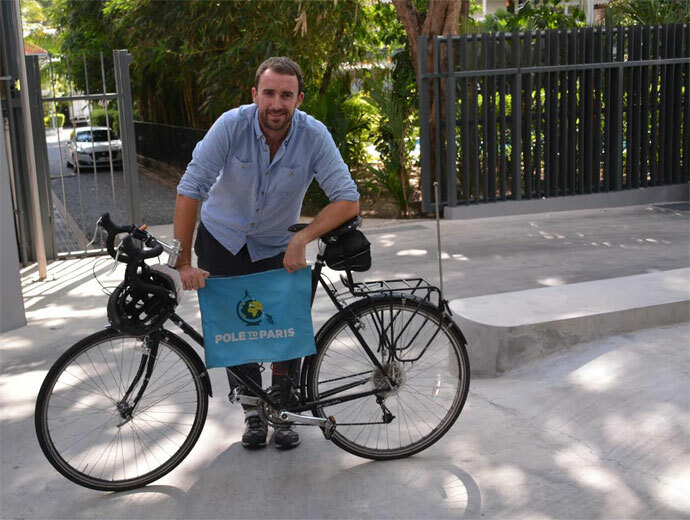 The two joined hands so that the 12,000km-long "Southern Cycle" and the 3,000km-long "Northern Run" complement each other for their Pole-to-Paris mission. I caught up with Dan in Bangkok earlier this year, where he participated in the Regional Forum on Climate Change organised at the Asian Institute of Technology, Thailand. Along with Nobel laureate José Ramos-Horta, Dan was clearly a star with both students and enthusiasts from all over wanting to be photographed with him and his bicycle. His bicycle ride began at the latitude of 77 degrees south on the McMurdo Ice Shelf – an area located in the South Polar Region. Similarly, Erlend’s journey began in Tromso in Norway, which is located at the latitude of 69 degrees north, in the North Polar Region. “Poles are important,” Dan says, since it is the polar regions that are the first to experience the impact of human interference with environment. “The alarm bells have sounded first at the poles, and this is where our journey began,” he adds. “Extreme weather conditions mean that everything does not happen as planned,” Dan revealed. He wanted to go to India, but the Nepal earthquake forced him to change course and instead advance his journey towards China. At times, the twin challenges of crossing the sea and maintaining the Paris deadline have forced him to take a flight. But he makes up by offsetting the carbon credits of his flight. Often, the runner and the cyclist have little or no company. Dan found completing 250km in one day across the Gobi desert his toughest challenge, though a friend accompanied him on his nine-day dash from Beijing to Ulan Bator. For Erlend, who faced a snow blizzard in Bergen, Norway; zero visibility and no companions made the task of running a Herculean challenge. On the other hand, in Indonesia, Dan was joined by the country’s environment minister and 500 other environment enthusiasts, which reinforced his belief that their efforts were helping increase climate change awareness. This is precisely the aim, since communicating science was what prompted Dan and Erlend to commence their challenging task, Dan says. “During our Ph.D, we were doing a lot of research, but we felt that we were not communicating enough,” Dan added. This Pole-to-Paris journey is their way of reaching out to audiences by captivating the public, raising social consciousness on climate change, and forcing decision makers to arrive at a consensus on climate change. And on December 5, two scientists – the runner and the bicyclist, hope to finish their twin odyssey at Paris. And when they do, they will not be alone there. They should be joined by nearly 147 heads of state and governments.